Currently, we are looking for an Internal Control Officer for Group Finance. Are you ready for the next step in your career? Then join our Internal Control team at Aegon Corporate Center! The Group Finance department is responsible for the delivery of meaningful financial and non-financial information (e.g. capital, income, balance sheet, sales etc) to the Executive Board, Management Board and Supervisory Board of Aegon N.V. to support the board’s decision making process. To achieve this objective, Group Finance maintains appropriate reporting systems which enables group consolidated reporting on key financial metrics based on International Financial Reporting Standards (IFRS), Solvency II, Aegon’s Market Value Numbers and other metrics. The environment in Group Finance is very dynamic, and constantly evolving due to external regulatory demands and internal needs and enhancement. Managing & adapting to change in a structured manner is key to the long term success of the department. Group Finance sets accounting policies for the Group based on IFRS and Solvency II. It also manages the annual Budget and Medium-Term Planning (Budget MTP) process and is responsible for all periodic external financial reports (e.g. Condensed consolidated interim financial statements, annual report, annual report on Form 20-F and Solvency Financial Condition Report (SFCR)). The department works very closely together with other disciplines within Corporate Center such as Group Treasury, Group Risk, Group Communications and Investor Relations. In addition, Group Finance works closely with all Aegon’s business units to assure timely, high quality information. The reporting process is a global process whereby ongoing communication and alignment with country units is essential. Fluent in English, verbally and written. A gross monthly salary of €3.524 - €5.874 based on 40 hours a week. Are you interested in joining our Internal Control team in The Hague? We look forward to receiving your resume and motivation letter. 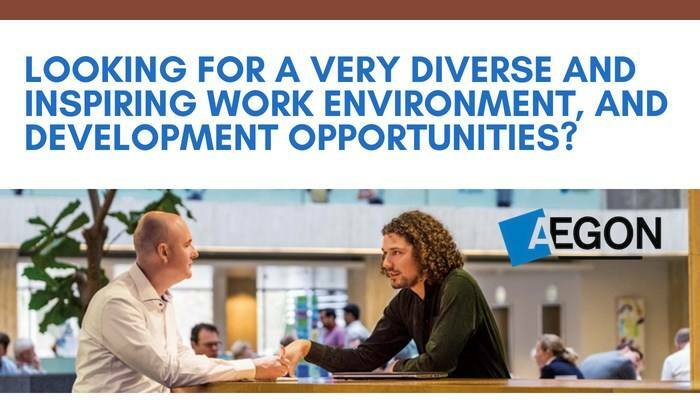 For more information about the application process, you can contact Suzanne van Calsteren, Talent Acquisition Manager at suzanne.vancalsteren@aegon.nl. Please send your application for Internal Control Officer at AEGON in The Hague including your CV via our website.